The FIFA 19 demo has arrived on PC, PlayStation 4 and Xbox One with 10 clubs and a first look at the final chapter of The Journey. UK and US PS4 and Xbox One players can get stuck into the FIFA 19 demo this weekend to try out the revamped Kick Off mode, get a look at The Journey: Champions, and try out the 10 available clubs, including Manchester United and Real Madrid. The demo is also available on PC through EA’s Origin. Players can “sample all realistic visuals” as well as trying out “the latest gameplay innovations: Timed Finishing, Active Touch, Dynamic Tactics, and 50/50 Battles,” according to the PlayStation blog. 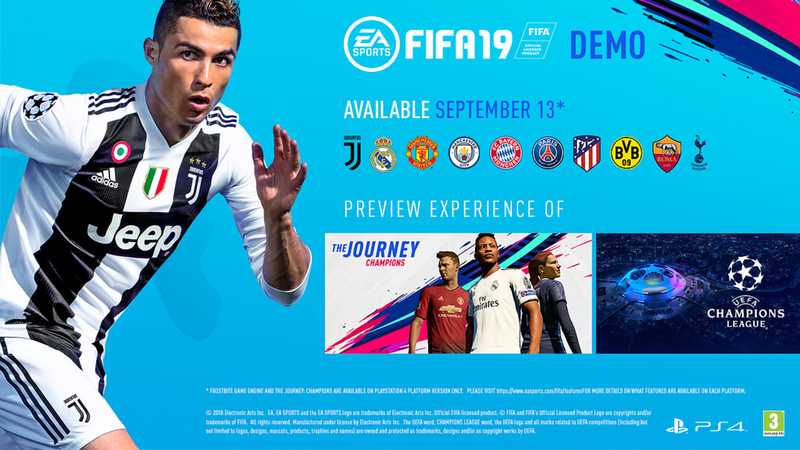 You can download the FIFA 19 demo now on the respective stores.